The Oregon Supreme Court just dealt a huge victory to plaintiffs in personal injury lawsuits. Personal injury lawsuits often turn on the testimony of the plaintiff’s doctors on issues such as the existence and the extent of the plaintiff’s injury, pain and suffering, anticipated duration of injury and the likelihood of recovery. The need for the doctor’s testimony, however, comes up against a principle of evidence law that protects doctor-patient confidentiality. That principle was just strengthened in a case brought before the Oregon Supreme Court. Read on to learn more about how the doctor-patient privilege has been extended through the Oregon Supreme Court. There is a rule of evidence that generally protects doctor-patient communications from being admitted into court against the wishes of the patient. The rule is based on public policy: We want people to be able to freely speak with their doctors, without fear of their words later being used against them in court, in order to ensure that people actually get the best medical treatment they can. The privilege becomes an issue when the medical condition of a patient is at issue in a lawsuit. While independent medical examinations of a party to a lawsuit are one way to get around going to a patient’s personal doctor and using their own medical history and previous statements, they may not be sufficient where a plaintiff’s medical treatment itself is at issue. This comes up in particular in personal injury matters. 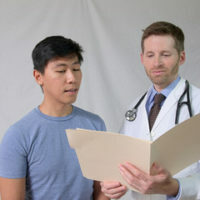 Many courts simply waive the privilege where the patient’s medical condition is at issue, by their choice (such as a plaintiff claiming injury). Oregon’s evidence code provides a non-exclusive list of circumstances under which a patient’s communications with their physician are not protected from disclosure, including court-ordered examinations as discussed. The case entitled Hodges v. Oak Tree Realtors, Inc. concerned a plaintiff’s allegations that she was injured when the defendant’s balcony collapsed. She alleged various injuries to her spine, legs, and shoulder. At her deposition, on advice from counsel, the plaintiff refused to answer questions concerning the medical treatment relating to her injuries such as which specific bones she was told by her doctors were broken. These were confidential physician-patient communications, according to her attorney. The trial court ordered the plaintiff to testify as to her communications with her treating doctors regarding the injuries at issue in the case. The plaintiff petitioned the Oregon Supreme Court for review. The Oregon Supreme Court reversed the trial court’s order, finding that the particular exception to the privilege in the evidence code applied only to court-ordered physical examinations, not normal examinations, and that the catch-all exception for “at-issue” medical conditions applied only to psychotherapist-patient communications. As a result, even for what had previously appeared like routine questioning in a personal injury case, the physician-patient privilege protects a plaintiff from having to disclose any confidential communications made with their doctor. Defendants are still free to seek court-ordered examinations and otherwise use a plaintiff’s medical history as evidence, but, at least in Oregon, they may not ask about a plaintiff’s communications directly with their own treating doctor. If you or a loved one has been injured by the negligence of another, it’s important to talk to an experienced personal injury attorney familiar with state law. In the Vancouver, WA area, contact John Lutgens, Attorney at Law, for a free initial consultation.